The Ferrari 250 is a series of sports cars and grand tourers built by Ferrari from 1953 to 1964. The company's most successful early line, the 250 series includes many variants designed for road use or sports car racing. 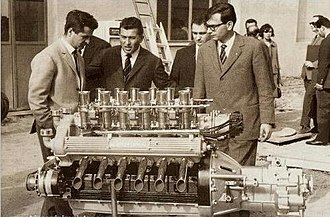 250 series cars are characterized by their use of a 3.0 litres (2,953 cc) Colombo V12 engine designed by Giaoccino Colombo. They were replaced by the 275 and 330 series cars. 4.4 250 GT Berlinetta "Tour de France"
4.8 250 GT Berlinetta "Interim"
Most 250 road cars share the same two wheelbases, 2,400 mm (94.5 in) for short wheelbase (SWB) and 2,600 mm (102.4 in) for long wheelbase (LWB). Most convertibles used the SWB type. Nearly all 250s share the same Colombo Tipo 125 V12 engine. At 2,953 cc (180 cu in), it was notable for its light weight and impressive output of up to 300 PS (221 kW; 296 hp) in the Testa Rossa and GTO. The V12 weighed hundreds of pounds less than its chief competitors — for example, it was nearly half the weight of the Jaguar XK straight-6. Ferrari uses the displacement of a single cylinder as the model designation. The light V12 propelled the small Ferrari 250 racing cars to numerous victories. The first 250 was the experimental 250 S berlinetta prototype entered in the 1952 Mille Miglia for Giovanni Bracco and Alfonso Rolfo. The Mercedes-Benz W194 racers of Rudolf Caracciola, Hermann Lang, and Karl Kling were faster on the long straights but the 230 PS (169 kW; 227 hp) Ferrari made up sufficient ground in the hills and curves to win the race. The car was later entered at Le Mans and in the Carrera Panamericana. The 250 S used a 2,250 mm (88.6 in) wheelbase with a "Tuboscocca" tubular trellis frame. Suspension was by double wishbones at the front, with double longitudinal semi-elliptic springs locating the live axle at the rear. The car had the drum brakes and worm-and-sector steering typical of the period. 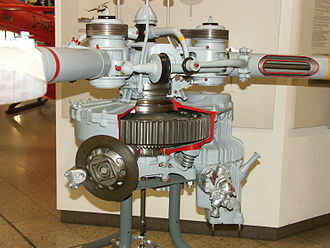 The dry-sump 3.0 L (2,953 cc (180 cu in)) engine used three Weber 36DCF carburettors and was mated directly to a five-speed manual transmission. Following the success of the 250 S in the Mille Miglia, Ferrari showed a more conventional chassis for the new 250 engine at the 1952 Paris Motor Show. Pinin Farina then created coupé bodywork which had a small grille, compact tail and panoramic rear window, and the new car was launched as the 250 MM (for Mille Miglia) at the 1953 Geneva Motor Show. Carrozzeria Vignale's open barchetta version was also an innovative design whose recessed headlights and side vents became a Ferrari staple for the 1950s. The 250 MM's wheelbase was longer than the 250 S at 2,400 mm (94.5 in), with the coupé 50 kg (110 lb) heavier than the 850 kg (1,874 lb) barchetta. 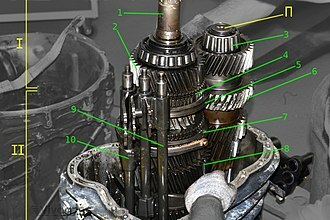 The V12 engine's dry sump was omitted from the production car, and the transmission was reduced by one gear. Power was increased to 240 PS (177 kW; 237 hp). The four-cylinder 625 TF and 735 S replaced the V12-powered 250 MM later in 1953. The 250 MM's race debut was at the 1953 Giro di Sicilia with privateer Paulo Marzotto. A Carrozzeria Morelli-bodied 250 MM barchetta driven by Clemente Biondetti came fourth in the 1954 Mille Miglia. The 1954 250 Monza was an unusual hybrid of the light four-cylinder 750 Monza and the 250 line. The model used the 250 engine in the short-wheelbase chassis from the 750 Monza. The first two used the Pininfarina barchetta shape of the 750 Monza and a one-off 500 Mondial. Two more 250 Monzas were built by Carrozzeria Scaglietti, an early use of the now-familiar coachbuilder. Although a frequent entrant through 1956, the 250 Monzas failed to gain much success and the union of the Monza chassis and 250 engine was not pursued beyond this model. The racing 250 Testa Rossa was one of the most successful Ferrari racing cars in its history, with three wins at Le Mans, four wins at Sebring, and two wins at Buenos Aires. One example sold at auction for a record-breaking $16.39 million. The 250 GTO was produced from 1962 to 1964 for homologation into the FIA's Group 3 Grand Touring Car category. GTO stands for "Gran Turismo Omologato", Italian for "Homologated Grand Tourer". When new, the GTO sold for $18,500 in the United States, and buyers had to be personally approved by Enzo Ferrari and his dealer for North America, Luigi Chinetti. In May 2012, the 1963 Ferrari 250 GTO chassis number 3505GT sold by an auction for US$38,115,000. In October 2013, the 1963 Ferrari 250 GTO chassis number 5111GT sold by Connecticut-based collector Paul Pappalardo to an unnamed buyer in a private transaction for US$52 million. Thirty-six cars were made in 1962 and 1963. In 1964 the Series II was introduced, which had a different body. Three such cars were made, and four older Series I cars were given a Series II body. It brought the total number of GTOs produced to 39. In 2004, Sports Car International placed the 250 GTO eighth on a list of Top Sports Cars of the 1960s, and nominated it the top sports car of all time. Motor Trend Classic placed it first on a list of the "Greatest Ferraris of all time". The 250 P was a prototype racer produced in 1963, winning that year's 12 Hours of Sebring, 1000 km Nürburgring and the 24 Hours of Le Mans. The 250 P used an engine derived from the 250 Testa Rossa, mounted in a rear mid-engine, rear wheel drive configuration. The mid-engined 250 Le Mans looked very much the prototype racer but was intended for production as a road-going GT. Descended from the 250 P, the Le Mans also appeared in 1963 and sported Pininfarina bodywork. Ferrari was unable to persuade the FIA that he would build the 100 examples required to homologate the car for GT racing. Eventually, 32 LMs were built up to 1965. As a result, Ferrari withdrew from factory participation in the GT class of the 1965 World Sportscar Championship, allowing the Shelby Cobra team to dominate. A 250LM, competing in the Prototype category, won the 1965 24 Hours of Le Mans. Only the very early LM's were true 250 models. All the others made as 3300cc models, and as such should have been named 275 LM. The early cars were converted to the 3300cc engine. The 1953 250 Export and Europa were the only ones of the family to use a different engine, sharing the 2953 cc Lampredi V12 designed for Formula One. 185VR16 Pirelli Cinturato CA67 tyres were standard on both versions. The 250 Export was similar to the 250 MM with its 2,400 mm (94.5 in) wheelbase. It had a 220 PS (162 kW; 217 hp) Lampredi engine, and was launched at the Paris Motor Show of 1953. The 250 Europa, also introduced in Paris in 1953, looked entirely different. With the long 2,800 mm (110.2 in) wheelbase and Ferrari America-style bodies, it was designed as more of a grand tourer than any previous 250. Both Pininfarina and Vignale handled the coachwork, and 21 were made. The 250 design was successful both on the road and on the track. A number of GT models were built in varying states of road or racing trim. The first road car to use Colombo's 250 V12 was the 250 Europa GT, introduced at the 1954 Paris Motor Show. Pinin Farina's sober Paris coupé was just one of many shapes for the 250 GT model line, with coachbuilt production extending through 1956 before the 250 line became more standardized. The original 250 Europa GT used a 2,600 mm (102.4 in) wheelbase on a conventional chassis, with 600-16 Stella Bianca tyres. The dry sump V12 was tuned to 220 PS (162 kW; 217 hp), with three Weber 36DCZ3 carburettors. Echoing Vignale's 250 Europa, Pinin Farina added now-familiar vents to the front fenders, a standard styling cue for many of the 250 GTs that followed. Pinin Farina introduced a 250-based prototype coupé at the 1956 Geneva Motor Show which came to be called the 250 GT Boano. Intended as a styling exercise and inspiration to 250 GT Europa customers, the car generated demand that soon called for a production series. Unable to meet the demand without expansion, Pinin Farina asked Mario Boano, formerly of Ghia, to handle the construction. When Fiat later recruited Boano, he handed production duties to his son-in-law Ezio Ellena. With partner Luciano Pollo, Carrozzeria Ellena would produce the 250 GT for another few years. Ellena revised the car, raising the roof and removing the vent windows from the doors. These examples became known as the 250 GT Ellena. Carrozzeria Boano built 74 250 GTs on the long-wheelbase chassis. Carrozzeria Ellena built another 50 Coupés. All but one were coupés. The single convertible, 0461 GT, was sold to New York collector Bob Lee off the stand at the 1956 New York Auto Show. At the direction of Enzo Ferrari, Lee bought the car for $9,500, far below cost. He still owns it, making it one of the oldest Ferraris still in the hands of the original purchaser. Four examples of the 250 GT Coupé Speciale were made, on the type 513 chassis. (Although chassis numbers were in the middle of the Boano 250 GT Coupé run they did not share the same chassis type.). They had Series I 410 Superamerica-style bodies and type 128, 3.0 V12 engines. 250 GT TdF "14 louvre" #0677GT, in Ecurie Francorchamps colours, at the 1997 Goodwood Festival of Speed. The 250 GT Berlinetta, nicknamed the "Long Wheelbase Berlinetta", was also called the "Tour de France" after competing in the 10-day Tour de France automobile race. Seventy-seven Tour de France cars were built, of which a number were sold for GT races from 1956 through 1959. Construction was handled by Carrozzeria Scaglietti based on a Pinin Farina design. The engine began at 240 PS (177 kW; 237 hp) but eventually rose to 260 PS (191 kW; 256 hp). Pirelli Cinturato 165R400 tyres (CA67) were standard. At the 1956 Geneva Motor Show, Scaglietti displayed their own 250 GT prototype, which became known as the limited-production, Series I, "no-louvre" 250 GT Berlinetta. The first customer car was built in May 1956, with production now the responsibility of Scaglietti in Modena. Fourteen "no-louvre" and nine "14-louvre" Series I and II Berliettas were made. There were four series of 250 GT Berlinettas. In mid-1957 the Series III cars were introduced, with three louvres and covered headlights. Eighteen were produced. The 36 Series IV cars; retained the covered headlights and had a single vent louvre. Zagato also made five "no-louvre" superlight cars to Ugo Zagato's design. A 250 GT Berlinetta won Tour de France Automobile three times in 1956, 1957 and 1958. Ferrari's winning streak in this race will be carried over with later 'Interim' and SWB Berlinettas. Released at the Geneva Motor Show in 1957, the original 250 GT Cabriolet Pininfarina Series I used the 2,600 mm (102.4 in) wheelbase and the body was styled differently from the Berlinetta. Cars left the factory on either 165R400 or 185VR16 Pirelli Cinturato tyres (CA67). About 36 examples were produced before a second series was shown at Paris in 1959. These later cars had more in common with the production Berlinetta. About 200 of the Series II cars were built. Motor Trend Classic placed the 250 GT Series I Cabriolet and Coupé ninth on their list of the ten "Greatest Ferraris of all time". Designed for export to North America, the 1957 250 GT California Spyder was Scaglietti's interpretation of an open-top 250 GT. Aluminium was used for the hood, doors, and trunk lid, with steel elsewhere for most models. Several aluminium-bodied racing versions were also built. The engine was the same as in the 250 Tour de France racing car with up to 240 PS (237 hp; 177 kW) @ 7000 rpm and a maximum torque of 265 N⋅m (195 lb⋅ft; 27 kg⋅m) @ 5000 rpm, from a 2,953 cc (3.0 L; 180.2 cu in) naturally aspirated SOHC 2 valves per cylinder 60º Ferrari Colombo V12 engine, equipped with 3 Weber carburetors. All used the long 2,600 mm (102.4 in) chassis, and Pirelli Cinturato 185VR16 tyres (CA67) were standard. A total of fifty LWBs were made before the SWB version superseded them in 1960. One example sold at auction on August 18, 2007 in Monterey, California, for $4.9 million. While radio host and former Top Gear presenter Chris Evans bought one for $12 million in 2008. Needing series production to stabilize his company's finances, Enzo Ferrari asked Pininfarina to design a simple and classic 250 GT coupé. After the 250 GT Coupé Boano/Ellena, Pininfarina's Grugliasco plant expanded and now had the capacity to produce the new 250 GT Coupé Pininfarina. It was introduced at Milan in 1958, and 335 near-identical examples were built by 1960. Buyers included Prince Bertil of Sweden. The GT Coupé eschewed the fender vents for simple, clean lines and a notchback look with panoramic rear window. The oval grille was replaced by a more traditional long narrow look with protruding headlights. Telescopic shock absorbers were also fitted instead of the Houdailles on previous 250s, and disc brakes were added in 1960. The original 165R400 Pirelli Cinturato tyres (CA67) were later changed to 185VR16. The final 250 GT Coupé had a Superfast tail and was shown at the 1961 London Motor Show. in 1959, seven 250 GT Berlinetta "Interim" LWB coupés were made. They utilized the old long-wheelbase chassis and had the new Pinin Farina bodywork of the upcoming SWB Berlinettas. The bodies are all-aluminum. Interim vehicles have an additional rear quarter window, absent from the succeeding "Passo Corto" Berlinettas. The Interim vehicles are serial numbers 1377GT, 1461GT, 1465GT, 1509GT, 1519GT, 1521GT and 1523GT. 'Interim' Berlinetta won 1959 Tour de France Automobile, thus continuing Ferrari's dominance. In line with the high-volume coupé, Pinin Farina also designed a plainer 250 GT Cabriolet for series production. Introduced at the 1959 Paris Motor Show, the GT Spider sported a look similar to the GT Coupé of the previous year, including the removal of the side vents. 185VR15 Pirelli Cinturato tyres (CA67) were standard. On the Coupé the headlights were uncovered. About 212 were produced. One of the most notable GT racers of its time, the 1959 250 GT Berlinetta SWB used a short (2,400 mm (94.5 in)) wheelbase for better handling. Of the 176 examples built, both steel and aluminum bodies were used in various road ("lusso") and racing trims. Engine output ranged from 240 PS (177 kW; 237 hp) to 280 PS (206 kW; 276 hp). The "lusso" road car version was originally fitted with 185VR15 Pirelli Cinturato (CA67). Development of the 250 GT SWB Berlinetta was handled by Giotto Bizzarrini, Carlo Chiti, and young Mauro Forghieri, the same team that later produced the 250 GTO. Disc brakes were a first on a Ferrari GT, and the combination of low weight, high power, and well-sorted suspension made it competitive. It was unveiled at the Paris Motor Show in October and quickly began selling and racing. The SWB Berlinetta won Ferrari the GT class of the 1961 Constructor's Championship. Also won 1960, 1961 and 1962 Tour de France Automobile before giving ground to the GTO's. In 2004, Sports Car International placed the 250 GT SWB seventh on a list of Top Sports Cars of the 1960s, and Motor Trend Classic placed it fifth on a list of the ten "Greatest Ferraris of all time". In 1959 Ferrari gave the 250 GT Berlinetta sharper handling, reducing its wheelbase from 2,600 mm to 2,400 mm. In 1960, Scaglietti revealed the 250 GT California Spyder SWB at the Geneva Motor Show, its body pulled more tautly over this updated chassis. Like the 250 GT Berlinetta SWB on which it was based, the revised Spyder also received disc brakes and a 280 PS (206 kW; 276 hp) version of the three-litre V12. It was fitted with 185VR15 Pirelli Cinturato tyres (CA67). About 55 were built. A custom-built fiberglass-bodied replica of a 1961–1963 250 GT California Spyder, was featured in the film Ferris Bueller's Day Off. Three 1985 Modena Spyders (two running and one shell for destruction) were built for the film by Modena Design & Development on custom frames. One of the running models was sold back to Modena for restoration and in April 2018 became the 22nd vehicle added to the National Historic Vehicle Register. A 1961 SWB example that had been owned by James Coburn was sold for £5.5 million to radio DJ, Chris Evans. A barn find 1961 SWB formerly owned by French actor Alain Delon while he was making the film Les Felins with Jane Fonda sold for US$15.9 million in February 2015. On March 11, 2016 at the Omni Amelia Island Plantation, a 1961 SWB sold for US$17.16 million at auction. The LWB 250 GT theme was expanded with the 2+2 model 250 GT/E, the first large-production four-seat Ferrari (earlier four-seaters were made in very small numbers). Interior space was increased by moving the engine forward in the chassis. The rear seats were suitable for children but small for adults. Pirelli Cinturato 185VR15 tyres (CA67) were original equipment. The standard wheels used on series 1 & 2 were the Borrani RW3591 and the series 3 were fitted with the Borrani RW3690 as a standard. Engine output was listed at 240 PS (177 kW; 237 hp). Almost 1,000 GT/Es were constructed by Pininfarina with prototypes starting in 1959 and continuing through three series until 1963. The model was followed by the visually similar 330 Americas. The large production run of the GT/E was a major contributor to Ferrari's financial well-being in the early 1960s. MSRP of the GT/E was $11,500. A 250 GT/E can be seen in The Wrong Arm of the Law, a film starring Peter Sellers. Pinin Farina updated the 250 GT with the GT Lusso or GTL. Introduced at the 1962 Paris show, the car had flowing lines and a fastback shape typical of the GT cars of the mid-1960s. The engine was the 250 GTO's Tipo 168 with 240 hp (179 kW; 243 PS) and three Weber 36DCS carburettors. 185VR15 Pirelli Cinturato tyres (CA67) were standard. Built by Scaglietti, the Lusso continued through 1964 with few modifications. Rock star Eric Clapton owned one, and an example that had been owned by Steve McQueen sold at auction for $2.3 million on 16 August 2007. 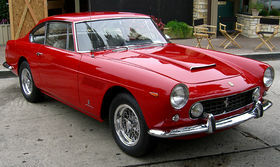 A replica of the 250 GT Lusso "... owned by Steve McQueen ..." was featured in the 2011 film Tower Heist. In 2004, Sports Car International placed the 250 GT Lusso tenth on a list of Top Sports Cars of the 1960s. Steve Boone, a member of the Rock and Roll Hall of Fame with the group Lovin' Spoonful owned chassis number #4237, which was stolen from a repair shop in Queens, New York and never found. Tractor manufacturer Ferruccio Lamborghini owned several Ferrari 250s. His frustration with Enzo Ferrari's response to his complaints about frequent clutch problems was key to his decision to make his own cars. He later hired ex-Ferrari engineers to design and develop them. Ferrari 250 GT Drogo - the "Breadvan", a 250 SWB modified by Giotto Bizzarrini and Piero Drogo for Giovanni Volpi. A predecessor to the 250 line was the 225 S introduced at the 1952 Giro di Sicilia. Two of the two-seat sports prototypes were built, an open barchetta and closed coupé, both by Vignale. Seven 225 S cars were entered in the 1952 Mille Miglia, but they were overshadowed by the larger-engined 250 S. A 225 S tested at Imola was the first Ferrari to drive the course. A 250 in all but name, the 1963 330 America shared the outgoing model's chassis but not its engine. Powered by the new 4.0 L engine of the later 330 cars, fifty 330 Americas were built. 185VR15 Pirelli Cinturato tyres (CA67) were original equipment, changed to 205VR15s (CN72) after 1964. 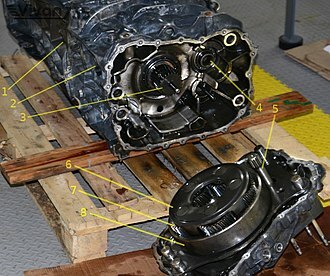 ^ "Dave Williams' Engine Weight Chart". Archived from the original on November 13, 2004. Retrieved July 25, 2006. ^ "Ferrari 250 MM". Ferrari GT - en-EN. Retrieved 2015-12-11. ^ "Ferrari 250 LM". UltimateCarPage.com. Retrieved 2011-09-28. ^ Ahlgrim, Steve (November 2012). "1956 Ferrari 250 GT LWB TdF". Sports Car Market. 24 (11): 34–35. ^ "1958 Ferrari 250 GT LWB 'Tour de France' Berlinetta". RM Auctions. Retrieved 2012-11-11. ^ "Ferrari 250 GT LWB California Spyder". ultimatecarpage.com. Retrieved 2018-06-09. ^ "1958 Ferrari 250 GT California Spyder Scaglietti". automobile-catalog.com. Retrieved 2018-06-09. ^ "1985 Modena Spyder (Ferris Bueller "Ferrari")". National Historic Vehicle Register. Historic Vehicle Association. 2017. ^ "Vehicles on the Register". National Historic Vehicle Register. Historic Vehicle Association. 2018. ^ Pollard, Tim (2008-05-19). "Chris Evans buys Ferrari 250 GT California for £5m". Car Magazine. Retrieved 2008-05-24. ^ English, Andrew (2008-05-19). "Chris Evans pays £5m for vintage Ferrari". The Telegraph. Retrieved 2008-05-24. ^ "King of the road: Chris Evans splashes out £5.5m on James Coburn's 1961 Ferrari". Daily Mail. 2008-05-19. Retrieved 2008-05-21. ^ Phillips, Drew. ""1961 Ferrari California Spyder sells for record $10,894,900" retrieved: 19 August 2008". Autoblog.com. Retrieved 2011-09-28. ^ "Barn find Ferrari sells for $16 million". Retrieved February 6, 2015. ^ "Sold! Ferrari Fetches Over $17 Million at Amelia Island Auction". Retrieved March 12, 2016. ^ ""McQueen's Ferrari sells for $2.3 m" retrieved: 17 August 2007". BBC News. 2007-08-17. Retrieved 2011-09-28. ^ "Modern Classic: Lamborghini 350 GT". Valvoline.com. Archived from the original on 2008-06-02. Retrieved 2011-09-28. Ascerbi, Leonardo (2006). Ferrari: A Complete Guide to All Models. Motorbooks. ISBN 0-7603-2550-2. Battista Pinin Farina was an Italian automobile designer, the founder of the Carrozzeria Pininfarina coachbuilding company, a name associated with many of the best-known postwar sports cars. Battista Farina was born in Cortanze, the tenth of eleven children, his nickname, referred to his being the baby of the family. Pinin started working in his brother Giovannis body shop at the age of 12 and he stayed at Giovannis Stabilimenti Industriali Farina for decades, learning bodywork and beginning to design his own cars. Battista formed Carrozzeria Pinin Farina in 1930 to focus on design and construction of new car bodies, only Carrozzeria Touring was more sought-after in the 1930s. Battistas work for Ferrari, starting in 1952, would become his most famous, though much of it was managed by his son, some time in the early 1950s Stabilimenti Farina was absorbed into the by now much larger Carrozzeria Pininfarina. He was inducted into the Automotive Hall of Fame in 2004, Farina officially changed his name to Battista Pininfarina in 1961. The Mercedes-Benz W194 was the Mercedes-Benz entry for the 1952 Sportscar racing season, its first after World War II. It was succeeded by the Mercedes-Benz W196 on the track, the racing W194300 SL was built around a mere 140-150 pound welded aluminum tube spaceframe chassis to offset its relatively underpowered carbureted engine. Designed by Daimler-Benzs chief developing engineer, Rudolf Uhlenhaut, the metal skeleton saved weight while still providing a level of strength. Since it enveloped the passenger compartment traditional doors were impossible, giving birth to the models distinctive gull-wing arrangement, aerodynamics played an important role in the 2497 pound cars speed. Unlike many cars of the 1950s, steering was relatively precise, the rear swing axle, jointed only at the differential, not at the wheels themselves, could be treacherous at high speeds or on imperfect roads due to extreme changes in camber. The enormous fuel tank capacity caused a difference in handling depending on the quantity of fuel on board. The event is the second round of the United SportsCar Championship and in the past has been a round of the now defunct World Sportscar Championship, IMSA GT Championship and American Le Mans Series. 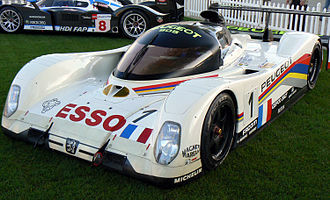 In 2012, the race was the event of the FIA World Endurance Championship. The track opened in 1950 on an airfield and is a racing course styled after those used in European Grand Prix motor racing. The first race was a race on New Years Eve 1950. The race is famous for its once around the action, starting during the day. In its early years, the Sebring circuit combined former airport runways with narrow service roads. The 1966 event was a point in Sebring history, as the facilities. Five people were killed during the race, which was more people killed than in the races prior 15-year history combined, bob McLean crashed while approaching the hairpin, his car rolled several times, struck a utility pole and exploded, landing in a ditch and killing McLean. The circuit was made safer and there were no fatalities until 1980 and it is known as preparation for the 24 Hours of Le Mans, as the tracks extremely bumpy surface, combined with south-central Floridas perennial hot weather, is a test of a cars reliability. In recent years, six victories have been achieved by the Audi R8. Tom Kristensen has won the more times than anyone else, with six victories – in 1999–2000, 2005–2006,2009. The 1966 race had Dan Gurney leading at the last lap, Gurney pushed his car over the finish line, beaten only by Ken Miles and Lloyd Ruby. However, his actions were ultimately determined to be against the rules, Corvette had dominated the class the past three years with its previous generation C5R. The all-new Audi R10 TDI won the 2006 edition of the race, the victory set the stage for an even more momentous win by the R10 in its next race, the Le Mans 24 Hours in the year. The much-hyped Porsche RS Spyder campaigned by Penske Racing dropped to take 2nd place in its LMP2 class, behind the Intersport Lola car. The GT1 Corvette C6R team got their revenge against the Aston Martin, in addition to an overall win, Audi set a track record in 2007 with Marco Werner behind the wheel in qualifying. ^A The car was in fact, a Porsche 935 K3 that has been modified with a single cylinder head. Otto Wilhelm Rudolf Caracciola, more commonly Rudolf Caracciola, was a racing driver from Remagen, Germany. He won the European Drivers Championship, the equivalent of the modern Formula One World Championship. He won the European Hillclimbing Championship three times – twice in sports cars, and once in Grand Prix cars, Caracciola raced for Mercedes-Benz during their original dominating Silver Arrows period, named after the silver colour of the cars, and set speed records for the firm. He was affectionately dubbed Caratsch by the German public, and was known by the title of Regenmeister, or Rainmaster, Caracciola began racing while he was working as apprentice at the Fafnir automobile factory in Aachen during the early 1920s, first on motorcycles and in cars. Racing for Mercedes-Benz, he won his first two Hillclimbing Championships in 1930 and 1931, and moved to Alfa Romeo for 1932, where he won the Hillclimbing Championship for the third time. He returned to the newly reformed Mercedes-Benz racing team in 1934, like most German racing drivers in the 1930s, Caracciola was a member of the Nazi paramilitary group National Socialist Motor Corps, but never a member of the Nazi Party. He returned to racing after the Second World War, but crashed in qualifying for the 1946 Indianapolis 500, a second comeback in 1952 was halted by another crash, in a sports car race in Switzerland. After he retired, Caracciola worked as a Mercedes-Benz salesman targeting North Atlantic Treaty Organization troops stationed in Europe and he died in the German city of Kassel, after suffering liver failure. He was buried in Switzerland, where he had lived since the early 1930s and he is remembered as one of the greatest pre-1939 Grand Prix drivers, a perfectionist who excelled in all conditions. 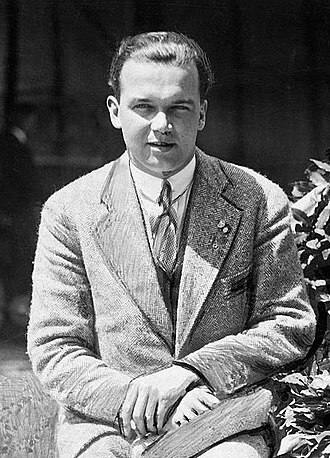 His record of six German Grand Prix wins remains unbeaten, Rudolf Caracciola was born in Remagen, Germany, on 30 January 1901. 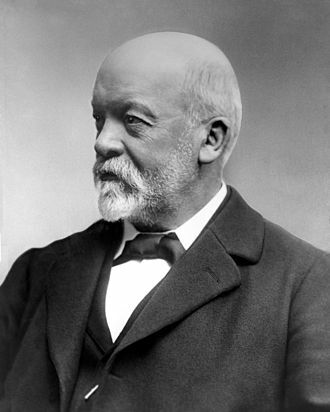 He was the child of Maximilian and Mathilde, who ran the Hotel Fürstenberg. His ancestors had migrated during the Thirty Years War from Naples to the German Rhineland, Caracciola was interested in cars from a young age, and from his fourteenth birthday wanted to become a racing driver. Ghia 450 - one of 56 built. Caracciola driving an Alfa Romeo 8C in the 1932 Mille Miglia. The car later retired when a valve connection broke, leaving him unable to defend his 1931 title. Caracciola leads Auto Union driver Bernd Rosemeyer in a 1936 race. The two had an intense rivalry on track, which was only broken when Rosemeyer died trying to beat Caracciola's speed record on the Autobahn in January 1938.